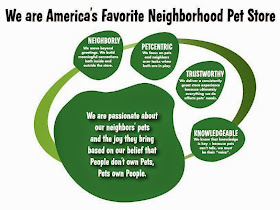 Pawsitive Impressions: When It Comes to Neighborly Service, Pet Center #53 Succeeds Swimmingly! When It Comes to Neighborly Service, Pet Center #53 Succeeds Swimmingly! I want to take this opportunity to give thanks to store 53 in Chicago. 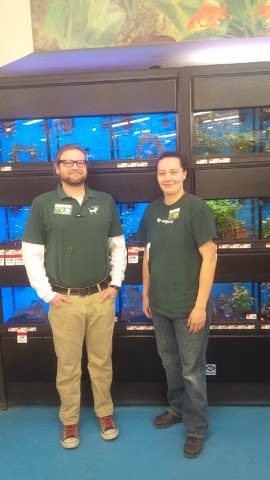 Store Team Leader Colin H, and team member Tahany P have gone above and beyond in helping me with all of my pets' needs. They have done plenty of special ordering for items that I've wanted and have made my fish tanks look incredible. Their knowledge and expert advice have truly made my shopping trips easy and enjoyable. Please keep Colin and Tahany as the molds in which you shape your other team members after. I appreciate their professionalism and service.